Come and learn this sacred and feminine expressive dance. Belly dancing is a ritual dance and is said to conjure mystical healing and transformation powers. This Belly Dance class celebrates the divine woman and all her goddess beauty. Not only will a Belly Dance Experience make for a sublimely empowering, spiritually awakening experience. You build strength in your core, improve flexibility in your abdominals and is outrageous fun whenever your hips do a shimmy shake. Your Belly Hen Dance Party Experience will be taught in a private dance studio so everyone will feel completely relaxed, free to lose their inhibitions and committed to a really good ripple. 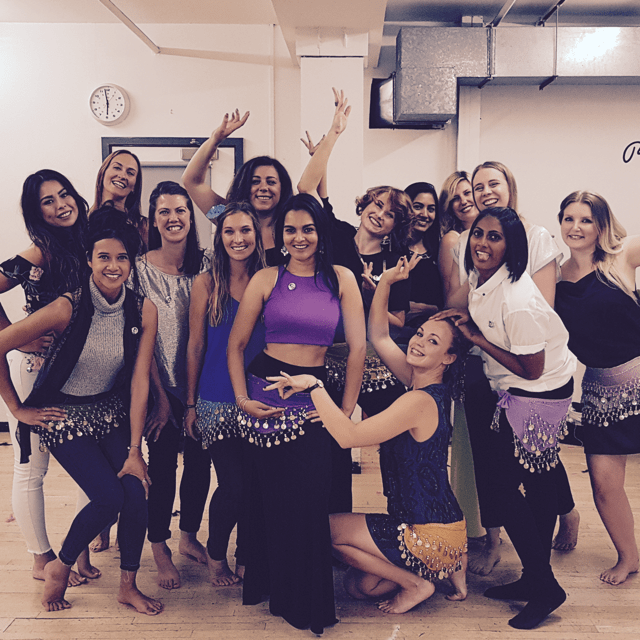 Our professionally trained Belly Dance teachers will get you warmed up with key core movements, building core strength, focussing on body isolations and the foundations of Belly dance. You will learn how to manipulate your hips, chests and arms gracefully, yet strong, like flowing water. 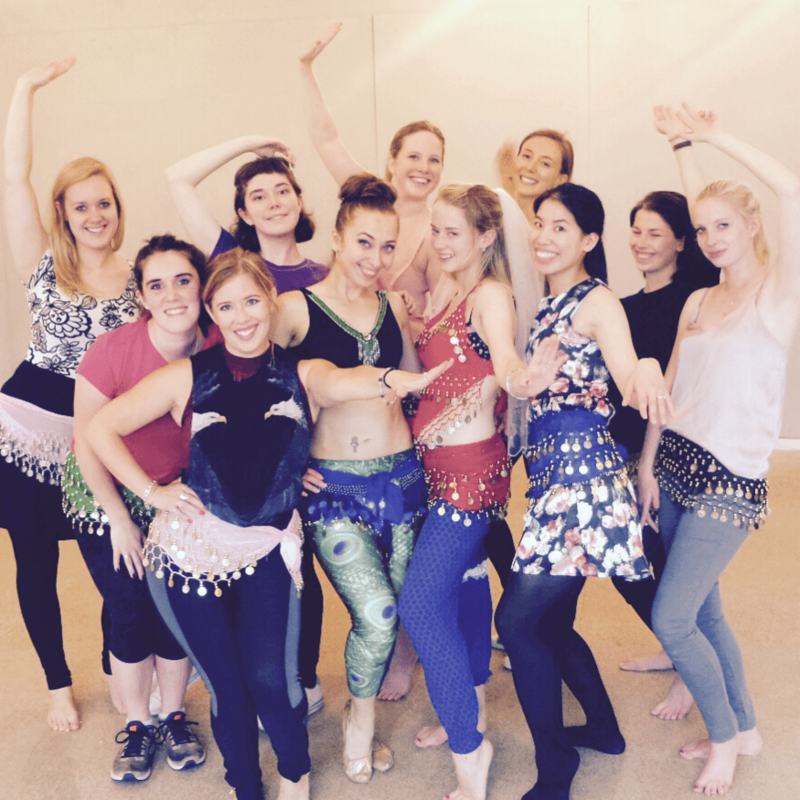 Our Belly Dance teachers have shimmied their way on to Strictly Come Dancing, BBC’s Comic Relief and Britain’s Got Talent. So your bellies are in gifted hands! Before our choreographer teaches you your enchanted routine, grab your cameras for a group photo opportunity. Plus free to use Belly Dance coin belts to wrap around your waist, so your hips make music as they dance. Your Belly Dance Routine will include full body isolations, articulations of the hips and chest, ripples of the arms and spine and will prove to be a completely sensual tease. This will all be performed to a mix of Middle Eastern instrumental pop music with elements of drumming to remain grounded and connected to the Earth as you perform this ancient ritual dance. A Belly Dance Party Experience will leave your group feeling empowered, enlightened, earthed and free. Belly Dancing celebrates women and their bodies. Every tiny fragment of our bodies, is a beautiful gift from above, so embrace it and teach it how to dance. Create a magic connection with the other ladies at your party and feel bond continue, shining enterally. Our Belly Hen Dance Parties sell out faster than you can say Shimmy-Shake, so book yours now for a truly mystical and unique experience. Thank you so much for arranging our Belly Dance Party Experience on Saturday for my sister's Hen Do. The ladies had a wonderful time and thoroughly enjoyed the experience. Our dance teacher was a perfect host and managed our group well. After endless phone calls to Hen Heaven, you made what seemed like an enormous task effortless and with such short notice! 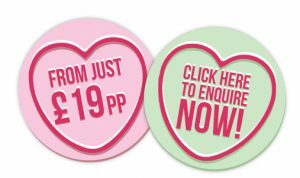 FREE use of coin skirts for all Hens!